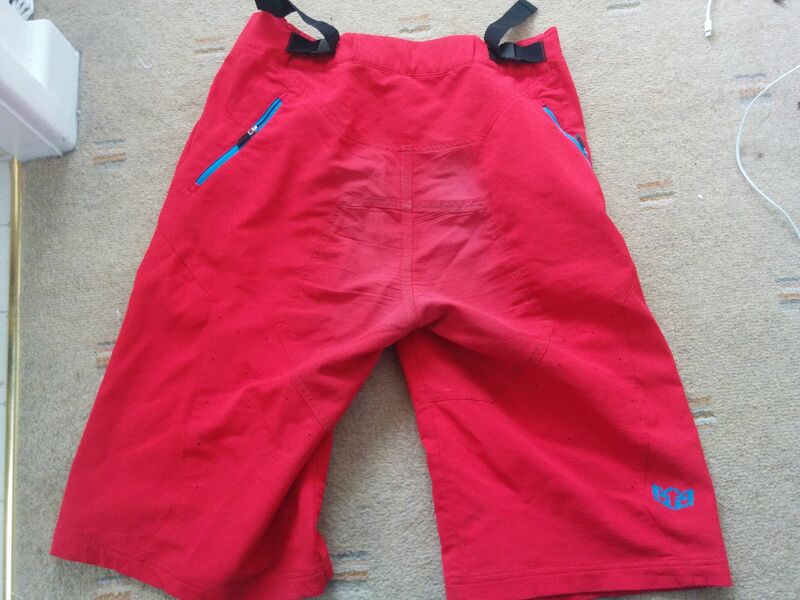 The original Turbulence were my all-time favourite pair of MTB shorts, with heavy duty materials, a great baggy cut and a really useful waterproof panel on the bum. So I was disappointed when I took delivery of this bright red pair to discover that they are totally different to my trusty black and grey pair – being a similar cut but much lighter and made from a single softshell ripstop material throughout. Red shorts are the fastest, yeah? While I was initially going to send them back, I thought I’d just slip them on to see how they fitted and was so impressed that I decided to keep them anyway. I’m glad I did because they’ve swiftly become my new favourite pair of riding shorts, perhaps even eclipsing the originals. What’s so great about them then? Well the cut is just spot-on, they sit perfectly over chunky knee pads and never feel obtrusive or constrictive when riding. I’ve also had no problem with saddle snagging – which is one of the main pitfalls of baggier-style shorts. That nice thin softshell material is comfy on hot rides and dries quickly when it gets splashed or in drizzly conditions. They have good-sized pockets, including a couple of zipped ones with decent-quality zips & tabs, and the rear adjustment bits allow the fit to be fine-tuned effectively. Downsides? It might still be too early to talk about durability but I’ve had a couple of crashes and they have held up well. 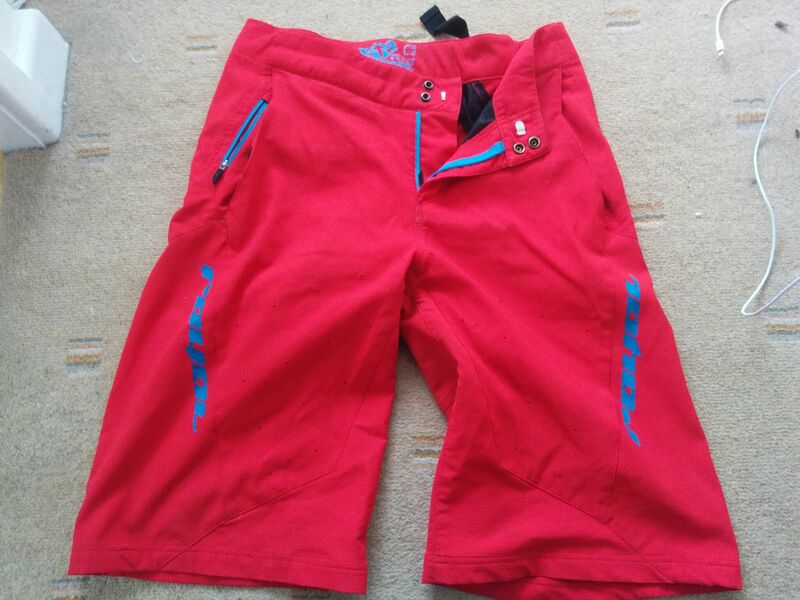 I did a quick google to see what the current season colours are, but it seems they may have been discontinued – which is a damn shame because there’s so much that’s right about these shorts for proper mountain biking.